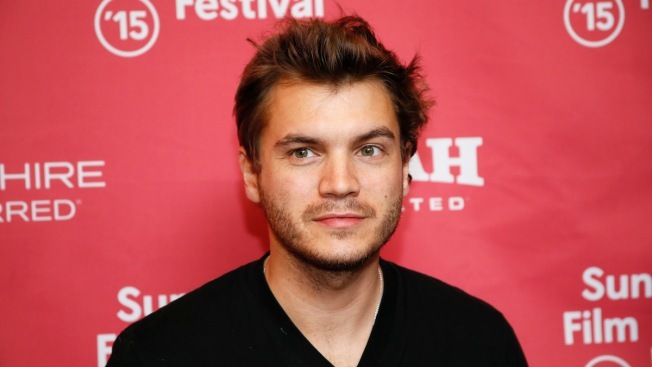 Actor Emile Hirsch pleaded guilty to misdemeanor assault in an attack on a studio executive. Actor Emile Hirsch has pleaded guilty to misdemeanor assault after being accused of putting a female studio executive in a chokehold at a Utah nightclub during the Sundance Film Festival. The "Into the Wild" star entered his plea Monday under a deal with prosecutors. The 30-year-old from Encino, California, will spend 15 days in jail, pay a $4,750 fine and do 50 hours of community service. If he completes the sentence, the charge will be dismissed. Daniele Bernfeld, an executive for the Paramount Pictures subsidiary Insurge Pictures, told police that Hirsch put her in a chokehold from behind on Jan. 25 at Tao Nightclub in Park City, dragged her across a table and body slammed her to the floor, records show. Hirsch was slurring his words and struggled to balance, public reports show, and said he had three or four drinks. He told police he couldn't remember exactly what happened but acknowledged "mouthing off" a bit with Bernfeld and then defending himself when she came at him. He reiterated Monday that he couldn't remember what happened that night. Summit County Attorney Robert Hilder said Hirsch has been sober since the incident, has taken responsibility and expressed remorse on multiple occasions. Prosecutors know Hirsch was drinking that night and was taking medication that may have mixed with the alcohol, Hilder said, acknowledging that it is troubling Hirsch can't explain why he did what he did. Bernfeld described the incident as being "insanely painful and absolutely terrifying," according to public records obtained by The Associated Press. Bernfeld told police that Hirsch put her in a chokehold from behind, dragged her across a table and body slammed her to the floor, records show. Bernfeld said in a statement sent by her attorney that she wasn't happy with the plea deal, saying the punishment should be tougher. She said the violent and unprovoked attack have caused long-lasting effects beyond the physical injuries. She said authorities treated her with respect and dignity, but she's disappointed that prosecutors agreed a deal that meets the bare minimum. Attorneys for Hirsch have said that Hirsch entered rehab within days of the incident.